It was one year ago this month that I took the oath of office as your governor. My administration has been working hard to improve services and plan for the future. This list provides some first steps on the road ahead as we find ways to move Hawai‘i forward. • Housing & homelessness – A series of new initiatives has been launched statewide to help homeless individuals and families, including expanded outreach services and shelter placement, increased funding for Housing First efforts, and coordination with landlords to accept more low-income and homeless tenants. We’ve also increased public-private partnerships for more affordable housing and redeveloped low-income housing. • Environment – A landmark Turtle Bay agreement was signed to preserve in perpetuity nearly 630 acres of open space on O‘ahu’s North Shore. Other ongoing work includes shoreline and coral reef protection and stream restoration. • Fiscal accountability, transportation – The state and the Airports Division earned an improved bond rating and financial outlook, which means more funds for infrastructure projects such as roadways, schools, and airport modernization. Rating agencies cited the state’s sound fiscal policies, financial management and strong airline passenger growth trends as major factors. • Efficient, effective government – Departments reported improved efficiency in completing state transportation “pipeline” projects, reduced overtime in the Corrections Division, expanded “paperless” document management and initiated tax system modernization. • Economy & Energy – The state engaged in international trade partnerships, student exchange programs, and clean energy agreements to boost economic development and sustainability. It has also initiated a statewide training program for the next generation of skilled smart grid technicians, electrical engineers and managers. Departments received multimillion dollar federal grants for workforce, small business and entrepreneurship development. 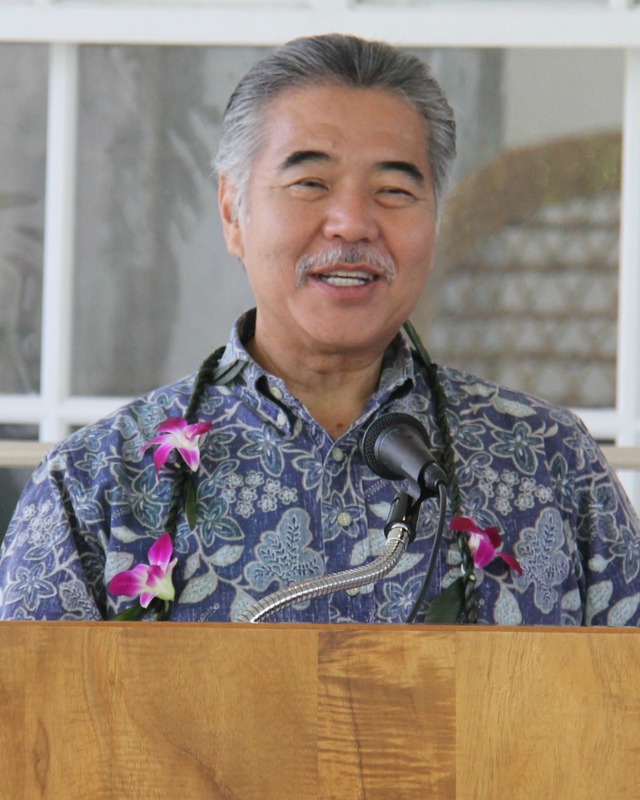 • Health – The Department of Health published the Hawai‘i State Hospital Master Plan, worked to transform health care on Maui with a new delivery system, and improved technology for the Medical Marijuana Registry and other programs. • Human Services – The Department of Human Services increased Supplemental Nutrition Assistance Program (SNAP) benefits, helped spearhead juvenile justice reform and created an integrated, long-term care program for the state’s Medicaid beneficiaries. • Agriculture – The Department of Agriculture conducted a food sustainability baseline study to map farms statewide for food production. The information will be used to develop metrics for doubling local food production by 2020. Read more of our December newsletter here.